Product feeds are one of the most effective and affordable ways of 'automated' and 'up-to-date' inventory upload to countless channels. On the other hand integrating with multiple channels may get complicated due to certain formats you may be required to send you data in. Managing data quality and transforming necessary fields during importing your inventory to WakeupData is one of the best ways of reducing channel export workload. Above you can see a basic example of data management example; by adding '.' as the decimal separator, you can make sure that our system will ignore additional '.' separators in the same number if it is used multiple times by mistake. This will help you push those particular products with no errors during exporting your data - saving you time and money. Additionally, you can use our Expression Engine for cleaning data in many advanced ways using different pre-built funtions. For example, by using HTMLClean(Value), you can remove all unwanted .html tags from your titles and descriptions. You can remove currency signs using Remove(Value) or RemoveFrom(Value) from your prices. You can even ChangeMultipleSpacesToSingleSpace(Value) so that you have a clean text that does not have tabs or other irrelevant spaces. 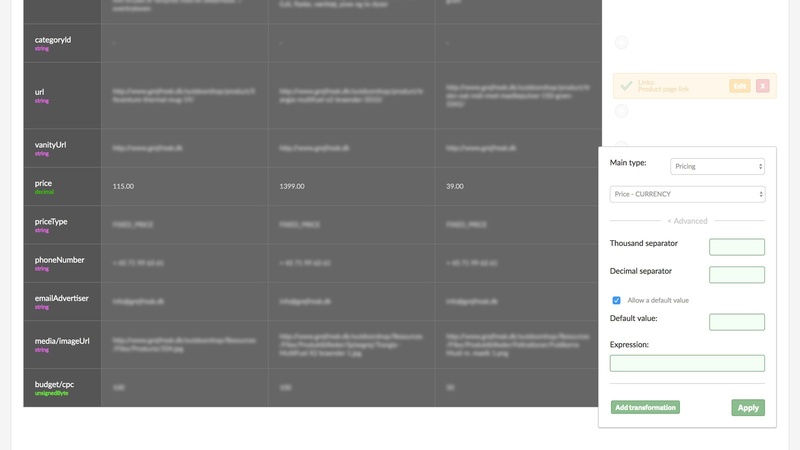 Expression Engine can also be used during crawls for creating your product feed(s) from scratch, which can be an add-on to WakeupData Connect. In certain cases, you may need to apply general or other rules based on pre-defined criteria. For example, if you wish to populate your product color based on descriptions during import, you can easily do that by using additional transformations. 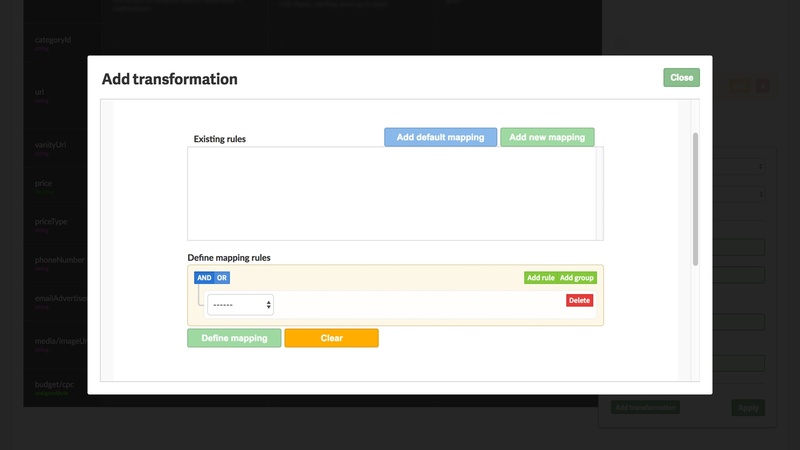 You can additionally check for empty fields and manage missing data by adding defult mapping options, so you transform 'no product information' into valuable content that will help you sell more in your favorite channel. If you wish to learn more, do contact us.